Additive manufacturing (AM) has long been in use in the manufacturing scene. As these technologies are further integrated into existing production processes, manufacturers enjoy improved efficiency and reduced production times. That said, AM alone cannot solve all of the problems that come along with custom components. Just imagine it. You need a custom robotic gripper for a new workload, and you need it quickly. To get it done you need to bring the right people together, manually design a gripper ideally suited to your workload with the right strutting, to form the air pipes right to guarantee you get the powder out and still have the right air pressure, translate all that into a CAD-model all the while making sure your design accounts for all the integrated parts, likely do a test run, and then you can finally print your final piece. Sounds cumbersome, right? It is, and more often than not, manufacturers are being held up in the design process. 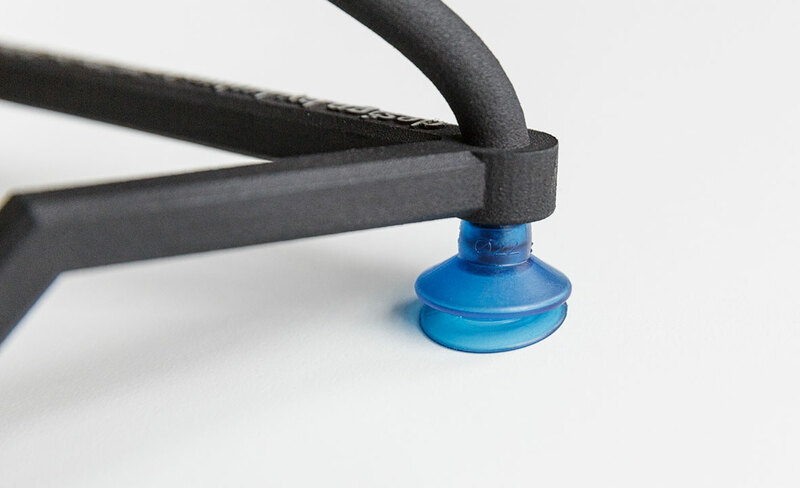 The design of custom grippers is incredibly labor and know-how intensive. 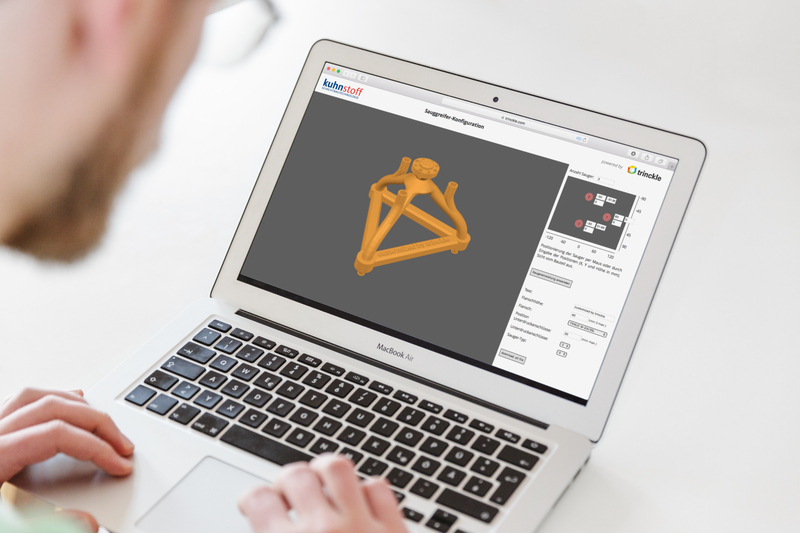 In cooperation with the robotic systems experts at Kuhn-Stoff GmbH & Co KG, we developed a software application that automates this complex design task, revolutionizing how manufacturers work with AM. Thanks to the gripper configurator Kuhn-Stoff CEO, Hannes Kuhn, predicts that design times for custom components will be reduced from over 8 hours to a matter of minutes. Good news for the production process, as it won’t be held up so much by design, but also for the bill. Reduced design times naturally mean lower design costs. But, beyond savings and improved efficiency Hannes Kuhn sees another important benefit: the removal of barriers from the design process. Because the gripper configurator takes care of the heavy lifting, and does so automatically, access to the design process is not restricted to those with CAD experience. Now anyone, regardless of their technical skills, will be able to manage the design process of custom grippers. Eliminating the need for specific 3D design or CAD knowledge marks an important progression in product design and a way to improve the accessibility of additive manufacturing for businesses. “The web-based configurator will grant clients without significant CAD-knowledge access to the design of robotic grippers. This is particularly relevant, when, in the construction of such systems, changes have to be made quickly” Hannes Kuhn, Kuhn-Stoff CEO. For example, a client with limited 3D design experience can use the gripper configurator’s simple interface to determine: the number of gripping points needed, the nozzle type, and the bearing load of a gripper. In a matter of minutes almost anyone can generate a custom design. Businesses stand to gain handsomely through the combination of AM with software applications like paramate. 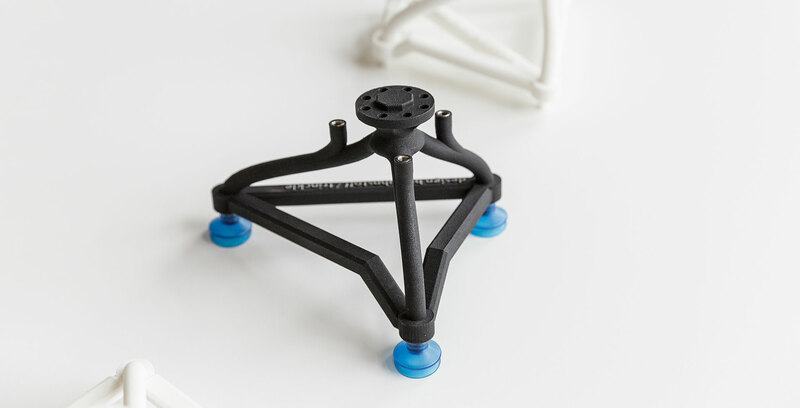 Evidenced by the amazing capabilities of the gripper configurator, the combination of 3D printing and software means new opportunities for innovative business models. Now anyone with a great idea can use readily available digital tools and networks to launch their product, the need to build up an entire production chain on one’s own, could be a thing of the past. Moreover, this combination of hardware and software also enables existing processes to become more efficient. Of course, changes like this rarely remain confined to one company and spread to impact their entire industry. In the case of the gripper configurator, more good news. Longtime partner of Kuhn-Stoff GmbH & Co KG and leading AM hardware manufacturer EOS looks to this software with anticipation. “With our AM systems, our clients can produce robotic grippers that are lightweight, durable, and outperform those made by conventional means. But, many of our clients struggle with the manual design workload for customer-specific components. The gripper configurator is the missing piece that brings everything together, and can serve as inspiration for countless other industrial applications” Christian Waizenegger, Business Development Manager Industry, EOS. As AM technology has improved, more manufacturers have begun to look towards it with high expectations. Despite an ability to produce components with higher quality than ever, faster than ever, and in higher volumes, many are missing the tools to fully take advantage of all AM has to offer. At trinckle, our mission is to create the software applications that close the gaps, and enable our clients to leverage the full potential of additive manufacturing. The creation of individualized, application-specific solutions has enormous potential in industrial manufacturing. Components, like a custom robotic gripper, can be made to fit perfectly and consequently made to work more efficiently than previously possible. It’s a future brimming with possibility. We at trinckle are going to make it a reality for manufacturers, one software application at a time. Learn more about our partnership with Kuhn-Stoff in our case study.